Basilur's Magic Fruits collection is a burst of natural fruits together with pure Ceylon tea & flavours which, provides the true essence of natural fruits such as luscious strawberries, zesty lemon, earthy ginger and many more delightful natural fruits. A collection of tea which has been masterfully blended to suite every desire and mood. Enjoy summer all year long with this ecstatic collection of Ceylon's finest tea and the goodness of natural fruits. A tea which will transform the everyday tea drinking experience in to an everyday celebration with the sweetness of delectable ripe red cherries. 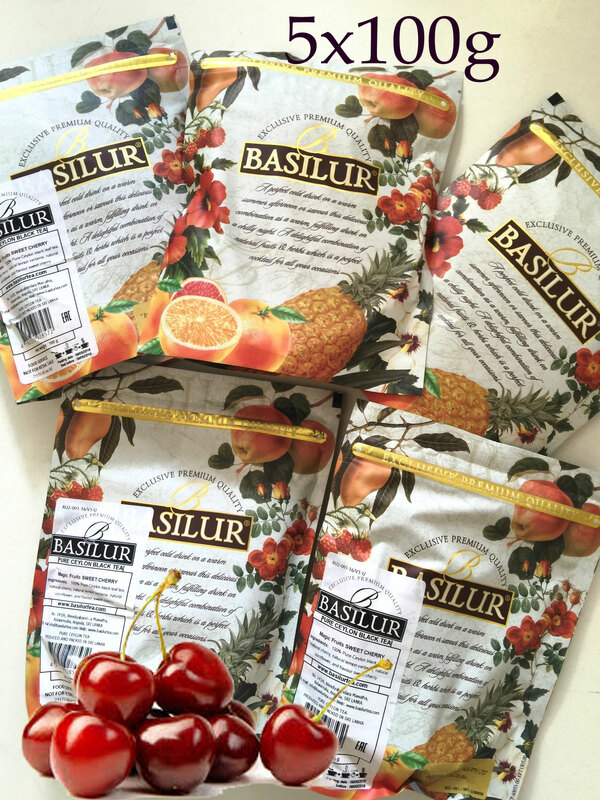 Basilur's Sweet Cherry tea is a celebratory combination of Ceylon's finest tea and sweet cherry which will add a touch of extra magic with each and every sip.